Ratio 1/3 ~ 1/2000, 260 in-lbs Max. Permanent Magnet DC Motors are the best solution to motion control and power transmission applications where compact size, wide operating speed range, ability to adapt to arrange of power. Their ability to produce high torque at low speed make them suitable substitutes for gearmotors in many application. Compare to the same size AC motor, it is easy to control the speeds and changes the rotation direction with high efficiency. 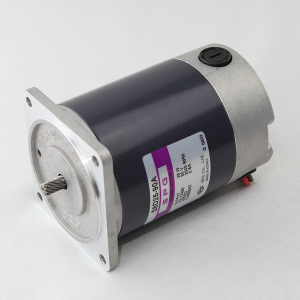 SPG carries a large supply of DC motors, which are used in numerous industrial applications. Our Permanent Magnet DC Motors are reliable and consistent performance while offering a high level feature set in both Standard and Custom Permanent Magnet Motors. Sourcing a DC motor to fit your company’s precise application is our goal and we customize design and manufacture reliable, high performing motors.